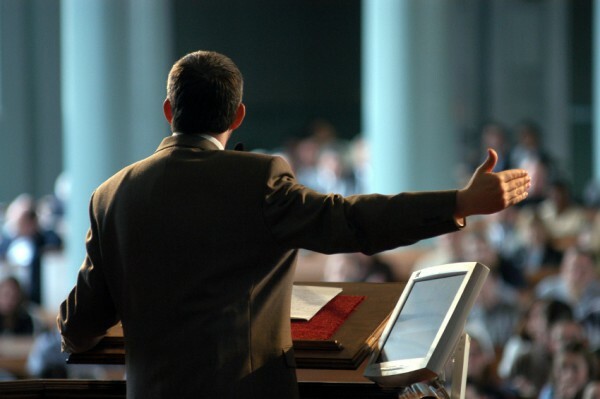 As a public speaker I offer seminars, workshops, keynote addresses, and sermons to those organizations and churches seeking such presentations. With over 25 years of experience, I have spoken to groups of 5 to groups as large as 2,500. I have spoken in small group settings, board meetings, at regional conferences, and state conventions. I have led workshops and leadership seminars across the country at various leadership training events. My experience includes basic public speaking, presentational instruction, business and professional communication, church leadership, and pulpit speaking. I have prepared and given presentations to heads of state and local government, national organizations, and Fortune 500 C-level executives. I have given literally thousands of talks on a variety of topics. I have several coaching-based presentations that are suitable for conference seminars and workshops, churches and church leadership. I am also able to prepare biblically-based sermons that are suitable for Sunday morning, evening, and Wednesday evening services. Please check out the Resources page for available packages. If you have a special need that you think I might be able to help out with, please do not hesitate to send a completed Speaker Request Form with details about your event and I will try to accomodate. In addition to my own offerings as a public speaker, if you are challenged by your own fears of public speaking or wish to improve your skills, I am available to coach in this arena as well. Having taught basic Speech Communication and Presentation as well as Business and Professional Communication at the undergraduate level, I can provide you with insights and instruction on ways to be a more confident speaker and presenter. My experience working with adult and graduate education serves to enhance these abilities, so feel free to reach out to me for available coaching. Please note that this area is often skills-based learning and therefore coaching overlaps with specific instruction and training. This simply means that my work in this area is not pure coaching in the definitive sense.